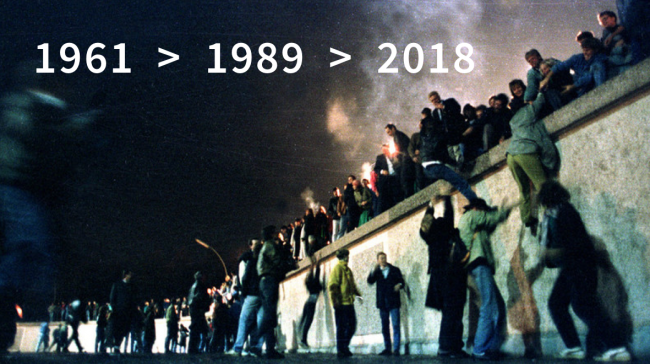 The Berlin wall has now been down for longer than it was up. 28 years, two months and 27 days to be precise. It was in many ways the symbol of the 20th Century and yet is now a distant and increasingly fading memory. The story of the wall is a powerful reminder for me about the impossibility and inevitability of change, and inextricably linked with my own family history. Just over a year before the wall was finally built in 1961, my mother was 16 years old and went on holiday to visit family in West Germany from East Germany together with her brother and mother. They didn’t go back and got out just in time. My grandmother never went back. As escapes go, it wasn’t nearly as dramatic as what you often see in the movies but in it’s own way it was huge. My grandmother always said it was the turning point of her life and the bravest thing she ever did because of all she was leaving behind. But also the risk she took as the consequences of being found out, which very nearly happened (but that’s another story) were immense. East Germany and my family were in crisis, but that one decision transformed their lives. In 1988, 27 years later, I was 14 years old and we returned to the UK from West Berlin where we had been living for a couple of years. I was just beginning to become politically interested and remember talking some friends of my parents who had stayed in East Germany. They were very clear that they didn’t think the wall would come down in their lifetimes. And yet just 11 months later in November 1989, the wall did come down. Nobody really thought it could happen, even just a few days before, and yet it did. Now, in 2018, that all seems like a very dim and distant memory. As with any change, whether large or small, once it’s happened not only do we quickly get used to it, but we then find it very hard to imagine in hindsight that it could have been any different. The Berlin wall represents a valuable lesson for me about both the seeming impossibility of change yet simultaneously it’s never-ending inevitability at the same time. In an era of apparently continuous crises, with Brexit, Climate Change, and the potential of another Cold War, there isn’t a shortage of things to keep us up at night. However, as Stephen Pinker keeps on reminding us, somewhat controversially, in his two most recent books The Better Angels of our Nature and Enlightenment Now, we are living in historically unprecedented peaceful times. And by most global measures of health, wellbeing, wellness and happiness, things have never been better. So regardless of the situation we find ourselves in, we should never let a good crisis go to waste. Rather than allowing ourselves to be overwhelmed by an ever more volatile, uncertain, complex and ambiguous world, we need to flip the mindset and embrace it instead. Change is not only possible but also inevitable. The present and the future is not predetermined but it’s created every day by the actions of all of us. 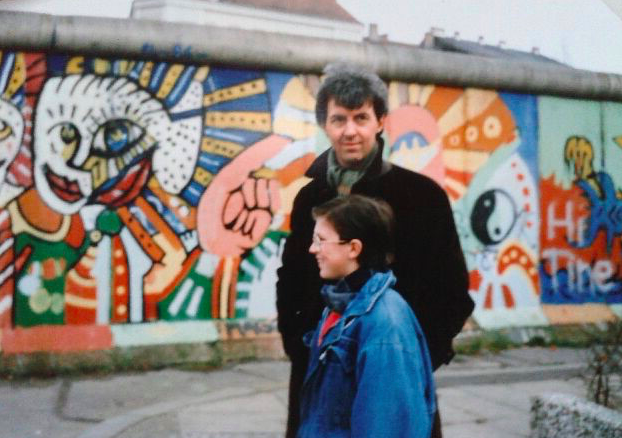 The Berlin Wall was a seemingly immovable object that divided my family, and the wider world. Yet it met an even greater force for change and was torn down to the soundtrack of David Hasselhoff. It’s legacy is about the power of collective human ingenuity and bravery to find a way through. As it’s position in history moves into a new phase, it reminds me to remain optimistic and driven that we can and should innovate a better future together.